Derby held firm for their fourth clean sheet in as many matches to leave Burnley with a share of the spoils as their Turf Moor clash ended 0-0. Nigel Clough's side offered little in the way of an attacking threat, but Burnley also created few chances of note as strong winds made flowing football almost impossible in east Lancashire. Clarets striker Charlie Austin brought an excellent save out of former England Under-21 goalkeeper Frank Fielding in the second half, while Fielding's most taxing task of the opening period was keeping the ball still as he tried to take goal kicks. Burnley came closest to taking the points when a cross from Keith Treacy swirled over Fielding and against the upright. 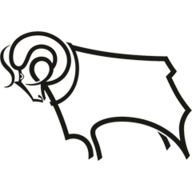 Ryan Noble had Derby's best chance but headed off target from Jamie Ward's corner, before Austin and top scorer Jay Rodriguez almost snatched victory in a strong Burnley finish. A first draw in 20 npower Championship games for Eddie Howe's Clarets leaves them three points from the play-off places, one point behind Derby. Treacy and Austin replaced hamstring injury victims Junior Stanislas and Martin Paterson in the Burnley line-up, while Nigel Clough stuck with the same Derby XI for a fourth consecutive game. Josh McQuoid took a place on the Clarets' bench after joining on loan from Millwall this week, while Noble was among the visiting substitutes having made a similar move from Sunderland. Austin had a goalbound shot blocked inside the first minute by Derby defender Shaun Barker and Treacy headed narrowly over from Rodriguez's cross. Rodriguez then drove at the defence and unleashed a 30-yard shot that had visiting keeper Fielding scrambling in blustery conditions. Clarets full-back Keiran Trippier elected to use these to his advantage with a raking long ball in the 25th minute that caught out the Derby backline and saw Rodriguez inches away from finding the decisive touch. 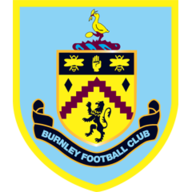 Dean Marney aimed a half-volley narrowly wide when a Treacy cross was partially cleared, but chances remained at a premium and it took Derby until the 43rd minute to test Lee Grant in the Burnley goal as Theo Robinson's 25-yard drive produced a routine save. Clarets winger Ross Wallace received treatment for a back injury during the first period, leading the introduction of McQuoid for his debut after the interval. Fielding produced a splendid stop, plunging to his right to keep out Austin's header from Marney's cross before thwarting McQuoid from the rebound in the 55th minute. Treacy was then inches away from breaking the deadlock when his cross from the left touchline arched over Fielding and came back off the inside of the post. Burnley defender Michael Duff headed a 65th-minute corner over the bar before Noble spurned a chance from Ward's delivery at the other end. Some slick interplay from between McQuoid and Austin resulted in the latter firing wide from 10 yards. Fielding frustrated Burnley once more when he denied Rodriguez with his legs in the 80th minute.